NEW Purex® No Sort® for Colors detergent is the latest laundry innovation from the Purex® brand designed to simplify your laundry routine. 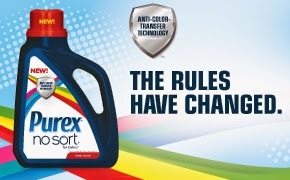 Purex® No Sort® for Colors detergent features a breakthrough Anti-Color-Transfer Technology™ which traps loose dyes in the wash and reduces color bleeding accidents in your mixed color loads leaving your clothes bright and clean. We are huge fans of Purex. 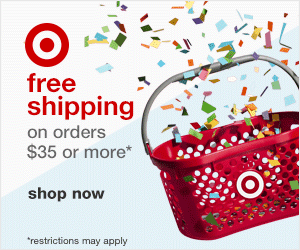 I love the different types and I love the price. By far my go to brand for my families laundry. 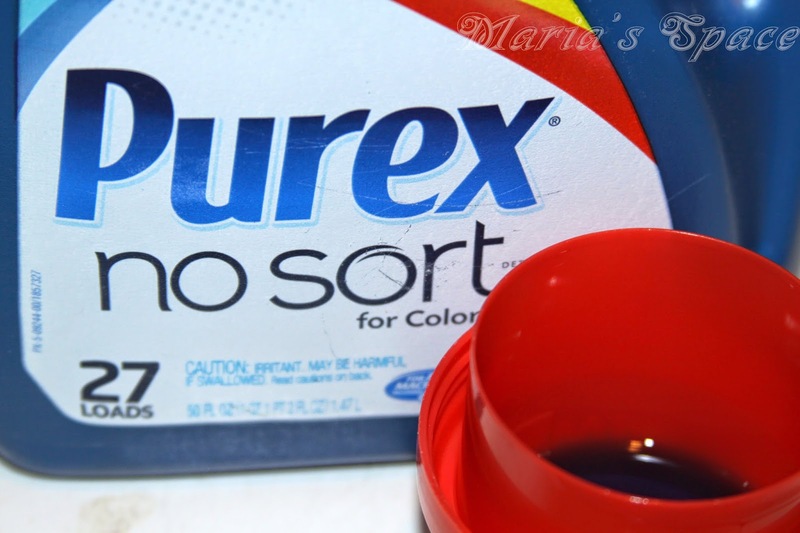 The Purex No Sort for Colors makes it so much easier for my kids on laundry day. I taught them how to do laundry when they turned 5 and they are so good at sorting but this is perfect. I also love that I can wash in cold water. I do two or three loads most weeks. I would say I do between 4-5 loads per week. We do about 6 - 8 load of laundry a week. It's a lot! Probably 4 to 6 loads per week. Sometimes more if I am doing the bedding and extra cleaning. I do 5-7 loads a week. I have a 4 and 6 year old that keep me busy! I do 2 - 3 loads a week! I probably do about 10 loads a week. I do approximately 6 loads a week. We do 4 to 6 six loads a week. IT depends on my 7 Pomeranians. We wash more dog blankies than anything else. 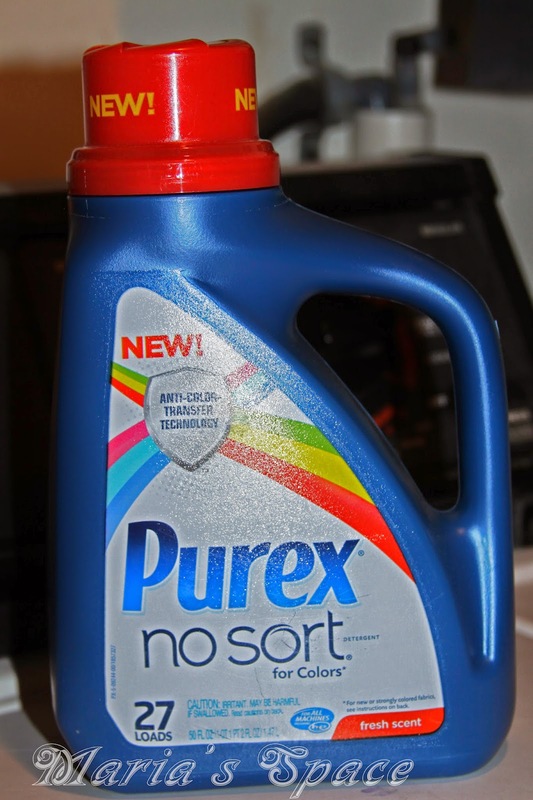 we do about 6-10 loads a week, love purex! I do around 3 loads of laundry a week. I wash about 5-6 loads of laundry per week. I do at least two loads of laundry a day, sometimes more, so I will go with an average of about 13.